Before Finland, I have never been to Europe. Europe's a new continent for me – I used to be a Singaporean youth ambassador to Japan, and have lived a year in Tokyo. I frequently travel to Korea, Thailand, Malaysia, Indonesia, and on some occasions to Australia, Hong Kong, Taiwan and Shanghai. I am in Finland because my boyfriend is Finnish, a reason you would have heard from expats for the past 10,097,431 times. Today I want to expound on the six reasons why Finland is perfect for Singaporeans. Finland and Singapore have around the same population size, but drastically different land areas! Currently, Finland has a population of 5,268,799, whereas Singapore has a population of 5,567,301. Yet, Singapore is only the size of what's inside Kehä Road III! In Singapore, there are expensive high-rise buildings everywhere, such as the whooping 5.7-billion-US-dollar Marina Bay Sands Hotel with a 150 metre infinity swimming pool on the 57th floor. Life in Singapore is extremely fast-paced and stressful. In Finland, there are tranquil green forests everywhere, which puts one at peace. Indeed, Finland is a relaxing escape from the hustle-bustle of Singapore. Finland and Singapore both place huge emphasis on quality education. In 2014, Singapore ranked No. 1 in the global PISA test, whereas Finland ranked 10th. 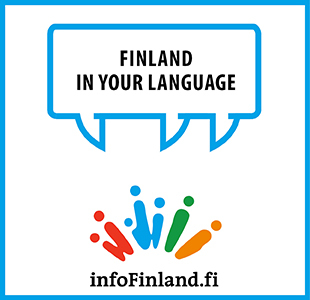 The Singaporean education system however, focuses more on regurgitating information, whereas the Finnish system places more emphasis on thinking. Singapore is sunny all year round, and most indoor places in Singapore are air-conditioned. Finland therefore is a perfect holiday destination for Singaporeans to see snow. Also, most Singaporean-Chinese desire fairer skin. Why spend a fortune on whitening products? Just come to Finland during winter. #3: There is (dry) humour! From Pasila to Putous, I'm extremely drawn to Finnish comedies. I can sing the entire chorus of Andy Suonsilmä's Karrelle palanut enkeli. Sometimes I put the song on loop till my boyfriend goes crazy. It does not matter that I still cannot pronounce the Finnish "RRRRR". It helps that some Finns crack jokes with a straight face. Even though tap water is safe to drink in Singapore, it is not as oxygenated as Finnish water, which originates from Finnish lakes. I was cooking one day in my Helsinki house, and accidentally cut my finger. The blood that oozed out of the finger was bright red, instead of the darker red I am used to in Singapore, or even in Japan. My (unsubstantiated) personal theory is that this is due to the oxygenated water, since more oxygen in your bloodstream makes your blood brighter. And... #1: Kimi Räikkönen is a Finn. F1 and Kimi are big in Singapore, and hotter than any summer. As Singapore celebrates its 49th year of independence on 9 August, I dedicate this piece to my country, on behalf of fellow Finns: Happy Birthday, Singapore – from Finland with love!